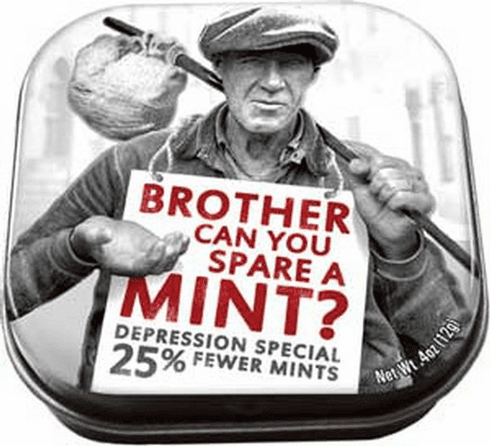 Brother Can You Spare a Mint? Home > Candy & Edibles > Brother Can You Spare a Mint? Times are tough, but your breath can still be fresh! These strong peppermints will pick you up, even as the economy goes down. They come in a stylish, reusable tin featuring a photo from the past (or the not-too-distant future).